Since launching earlier this year, Friday the 13th: The Game has been promising, and failing to deliver, some form of single player. Originally, the single-player slashing was supposed to happen this summer, but the game’s developers had other issues to deal with following a buggy, problematic launch. 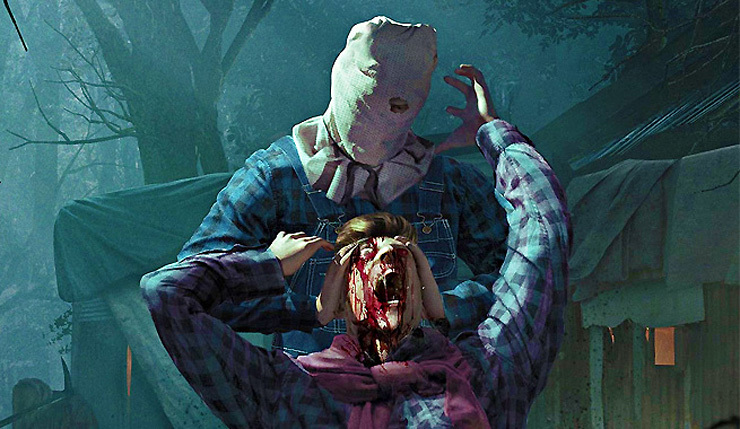 Some details about Friday the 13th’s single-player component were finally revealed back in September, but then it was right back to the waiting game. Maybe you hate playing online with people. Maybe you want to learn the lay of the land in all the maps. Maybe you just want to practice laying waste to scores of counselors. Well, we’re happy to announce that the next update of Friday the 13th: The Game will include offline bots. To access this new feature, you’ll want to select the new “Offline Play” menu item, and then “Offline Bots”. Next up you’ll want to select the map you want to play on, and select your preferred counselor punishing Jason. Finally, you will be able to select how difficult the bots you play against will be from the 3 difficulty levels included in the update – Easy, Normal, and Hard. You’ll be able to select from 1 to 7 counselors in your offline game to ensure that you are playing against exactly how many counselors you want to stalk. [The update also includes] an increase in max player level from 101 to 150. This increase won’t just be a number that keeps getting higher as you play more and earn XP. There are some cool things that you will unlock along the way, and we’re going to talk about a few of those right now. New for Counselors: More clothing coloring options for Mitch, Fox, and a couple more counselors that we aren’t ready to speak about, yet, allowing you to stand out from the other prey in the match. Starting on December 18th and lasting through to the 23rd, your chances of rolling a Rare and Epic perk will be increased. Starting on December 23rd and running through to the 27th, your chances of finding BOTH Pamela and Jarvis tapes will be increased. Finally, from December 23rd and running through to January 2nd, you will be earning DOUBLE CP. Please note that CP earned from leveling up is NOT doubled, but everything else is. Offline bots are a nice start (assuming the AI is passable), but other promised single-player features, like Challenge Mode, are still MIA. Fingers crossed that Friday the 13th will actually be feature complete by its one-year anniversary in May.